If you are looking to buy kapok stuffing for sale online, your very first question is how much kapok you need to buy. How Much Kapok Do You Need to Buy? How much kapok you’ll need for your pillow filling depends on the measurements you’ll choose for your decorative and/or zafu meditation pillows. 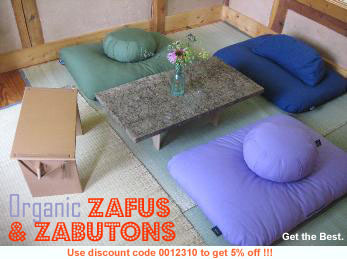 For this kind of zafu meditation pillows, you will need approximately 2.5 lbs. of kapok* per pillow. BTW. I just had a reader ask me how much you’ll need if you wish to fill it with buckwheat instead of kapok. The answer is: when we use buckwheat, we use 6 lbs. for the medium-sized zafu pillow, and 7 lbs. for the large zafu pillow. Where to buy quality Kapok is at Carolina Morning, and here is a great incentive for you to go check out the organic kapok and buckwheat – based products from Carolina Morning: meditation pillows, yoga props, and other wholesome healthy living support items. 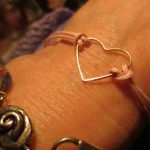 The kind folks at Carolina Morning allow me to offer YOU a ** 5 % DISCOUNT on your first order, of kapok and/or any other product you’ll order from their catalog online, but only if you use the Carolina Morning discount code of 0012310 and mention that you were referred by FineCraftGuild.com. 5% may not sound like much, but it can really add up to quite a bit, as top quality organic furniture and furnishings are not cheap. For your health and well-being, they are completely worth every cent they cost though. Actually, when you go shop around for quality organic, handmade products, you’ll find the prices at Carolina Morning entirely reasonable. 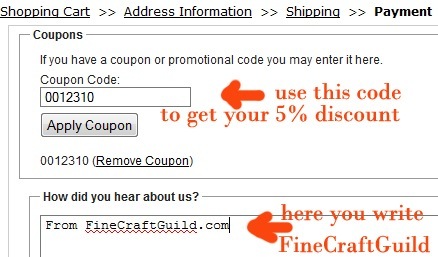 NOTE: To get your discount, you MUST use our coupon code of 0012310 and mention FineCraftGuild.com in the ‘how did you hear about us’ section. 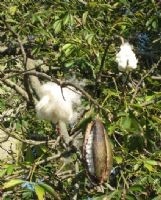 IF you are going to use the kapok (, buckwheat hulls, or anything else from their catalog) in items that you will sell on craft markets, etc, and/or wish to sell their products alongside with your crafts, I can get you a better discount on all your orders. In this case, SCROLL ALL THE WAY TO THE BOTTOM of the page, and place your inquiry there. 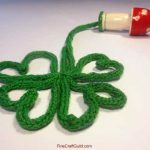 Again, you must mention FineCraftGuild.com + coupon code 0012310 in the comment section on this page to get your best discount. Or, email me directly. I’m excited to announce our new affiliation with Carolina Morning. The folks there just love their work, and are most knowledgeable of their materials. I’d call them All-American wholesome with a compassionate Buddhist heart. 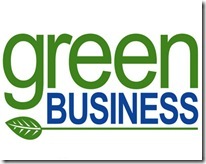 What’s particularly commendable is that the company is an authentic environment-saving company and a true pioneer at the Green Business movement. Being Green is a Mission. Carolina Morning’s eco-friendly business practices are all-invasive: "We have eliminated all plastic from our packaging. We print only a one page brochure on 100% recycled paper with soy ink. We recycle all office paper and bottles. Our fabric scraps are donated to a local charity which makes them into blankets for the homeless. We employ LEAN manufacturing techniques which makes our operation super efficient and competitive, even in the Global Economy. We are constantly working on reducing our energy needs." I just LOVE to support these folks, and I am inviting you to do the same. Excited? I am. 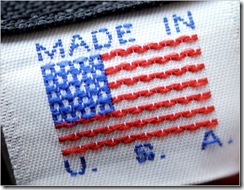 Let’s support our health, let’s support our environment and let’s support one of the last good old American manufacturers left! Oh, btw. 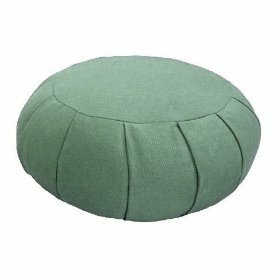 did I tell you that you can buy ready-made meditation pillows at Caroline Morning? Use our coupon code and your 5% discount applies. 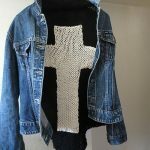 Mention FineCraftGuild.com and USE CODE 0012310 to order now. 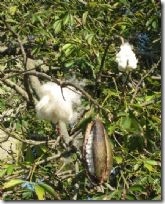 Why buy kapok rather than cotton? How much buckwheat hull do I buy if I want to use that instead of kapok? If you wish to fill it with buckwheat instead of kapok, we use 6 lbs. for the medium-sized zafu pillow, and 7 lbs. for the large zafu pillow. Both buckwheat and kapok can be ordered at a discount here from Carolina Morning. Thank you for the great instructions., BTW Buckwheat hulls , while I’m sure as with anything else they will break down in time, also breathe allowing your Zafu to allow yoga sweat to release. Can’t wait to make my own! I’ll be using polyester Heavy Duty thread too. SO glad your instructions are so clear and well-defined – makes it easy to do, not intimidating. I’ll send pix when I’m done!